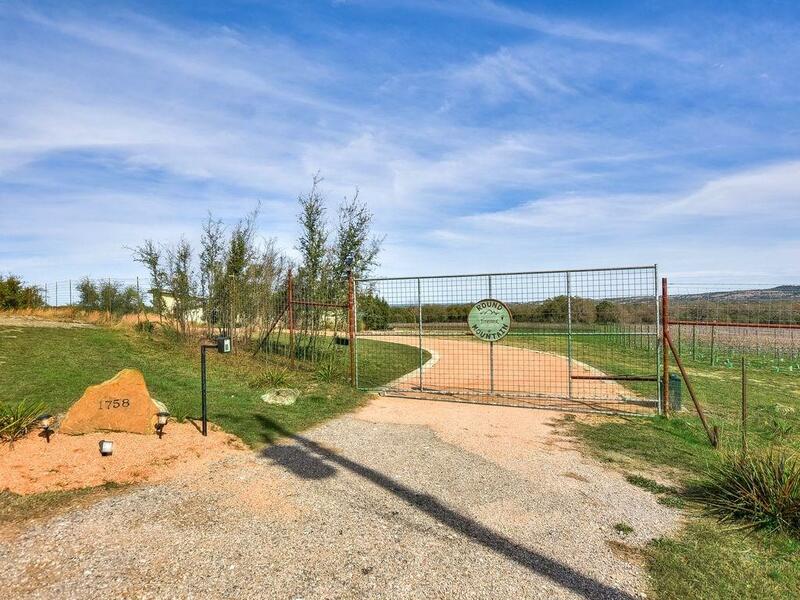 Your slice of Hill Country paradise awaits you at this gated 12-acre estate, located between Marble Falls and Johnson City. 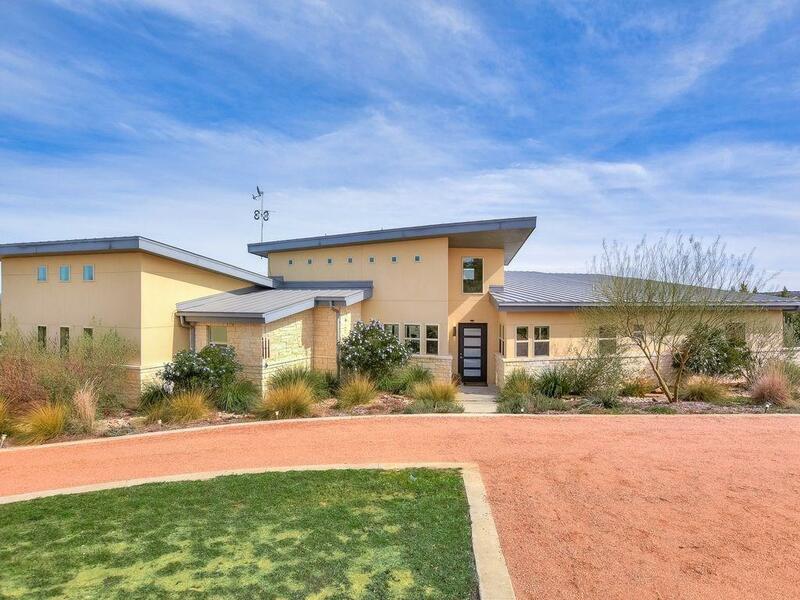 Set among rolling farmlands, the property boasts a stunning contemporary custom home, a 6-acre vineyard, a large barn and a studio apartment perfect for guests or a caretaker. 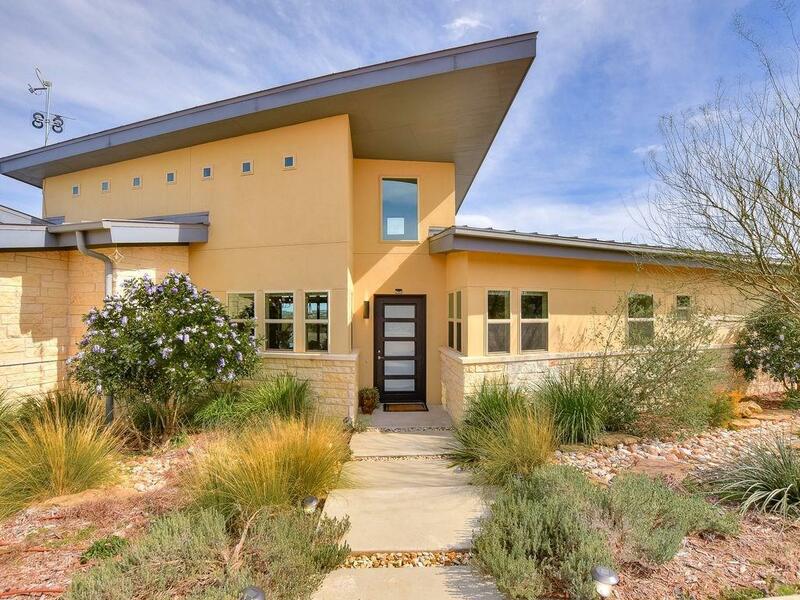 The 3029+/- sf architectdesigned home was built for energy efficiency and is solar ready. Featuring expansive views from every room, large, covered patio, gourmet kitchen & wine cellar. Fenced. Ag Exempt.